The Fort Collins Museum of Art is hidden in plain sight. Located along College near the Oak Street Plaza, many see it but never step inside. The Museum of Art features ever-changing exhibitions rotating in one-two month intervals from sculptures to ceramic masks to paintings and photography. The art is mysterious, thought-provoking and always a colorful, eye-catching ensemble, yet very few people patter around in here on a regular weekday. You might see an occasional soundless examiner while you're in during the week and a few more on the weekend. But the the elegant art is not really what I’m here to discuss with parents. 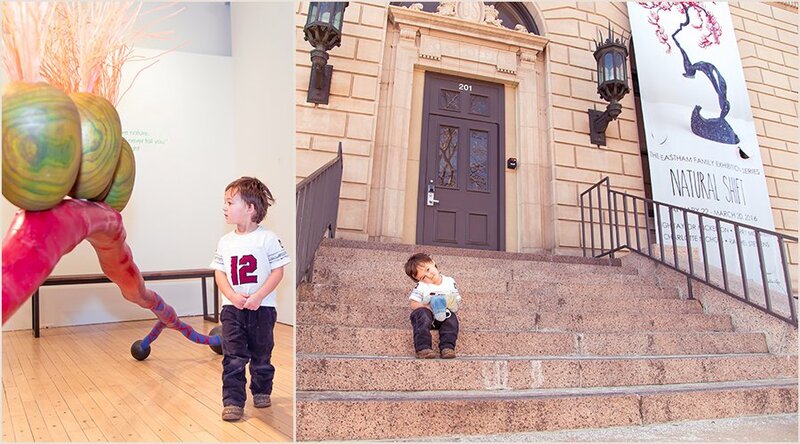 After about five minutes your child will be bolting around the exhibit room. 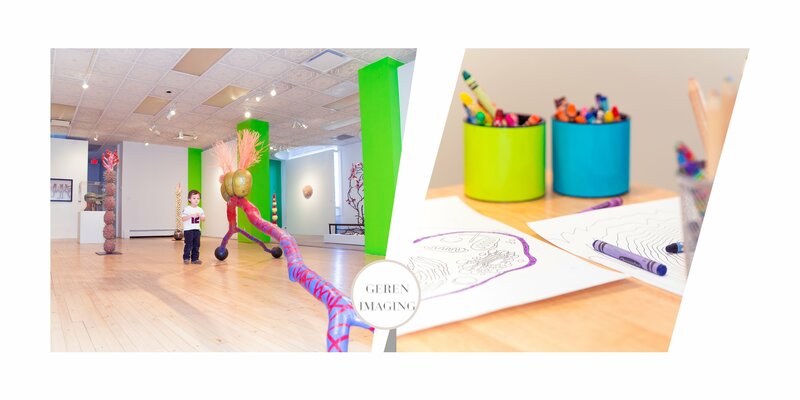 This is why on rainy, cold or snowy days we love to enter the Museum of Art’s Creative Space room. What is the Creative Space? 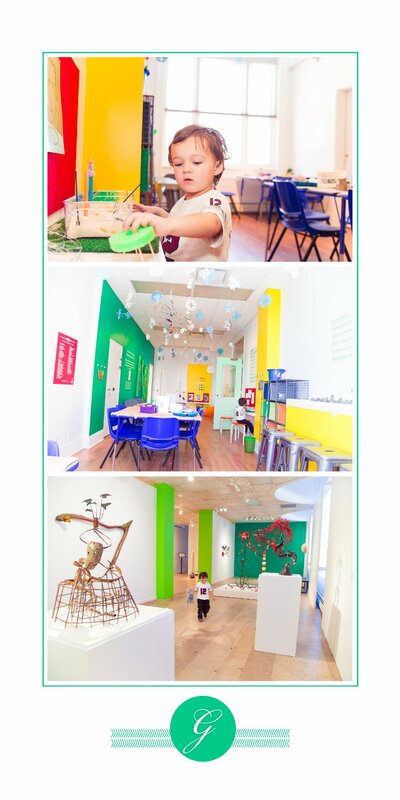 It’s a large room full of crafts, toys, books and educational pieces for children to create things from, learn and play with. 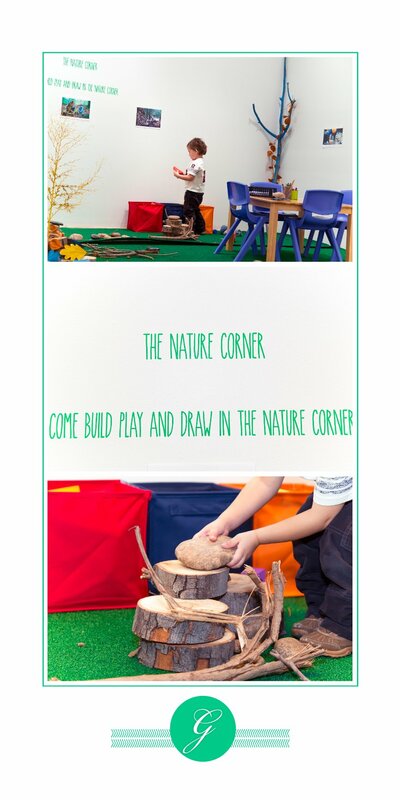 Just beyond that, hidden in the corner of the museum, is also the Nature Corner, another play area where children can color and play with natural objects, such as cut up trees to use as blocks. 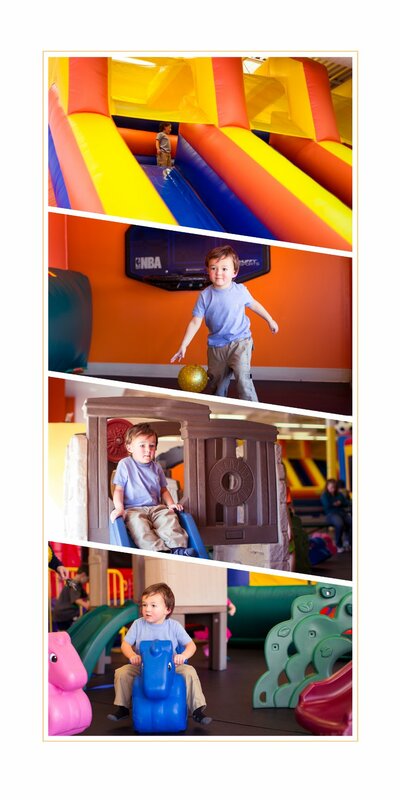 Just think of it as another indoor play area to entertain your child for an hour or so before lunch. If you have a wild child like mine, it can be quite stressful with them zipping around delicate sculptures and quivering art pieces so don’t let them wander off on their own. Joe never had the attention span to sit through library story-time or toddler craft-time. 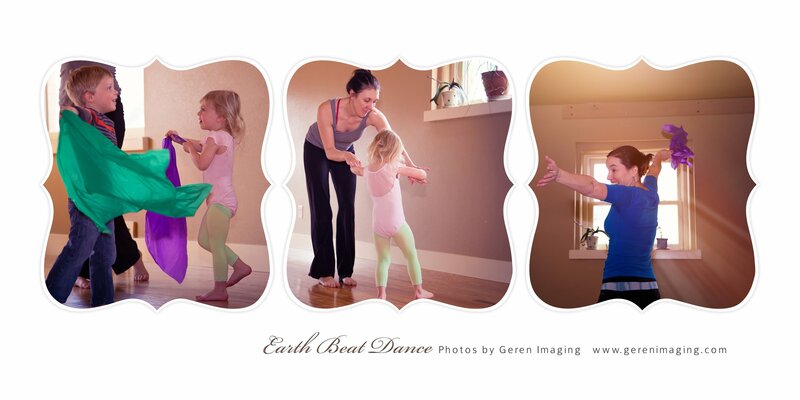 I figured I had to write off any kind of group activity until I entered Earth Beat Dance’s studio. 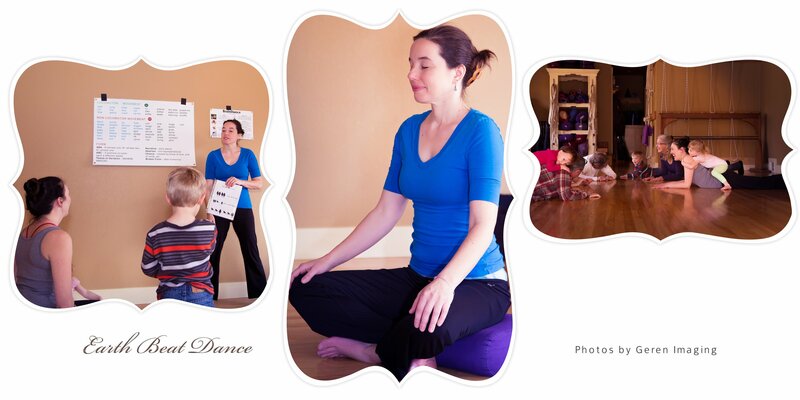 This is simultaneously a one-of-a-kind energy-releasing, calming and educational experience with specific classes for the different ages, specifically babies, toddlers and preschoolers. An ordinary preschool dance class may begin with children and caregivers singing songs while moving their body through dance and stretching. Then fun, world-themed music is played for different types of dances. 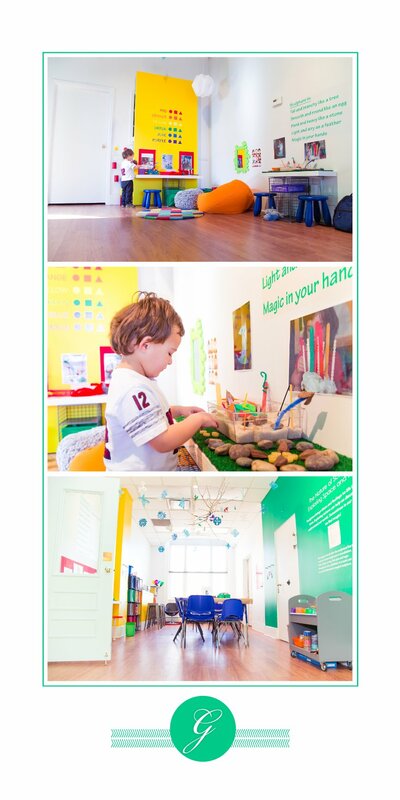 Amy encourages creativity and autonomy – there is no strict formula children must follow although the classes flow with eager participation. 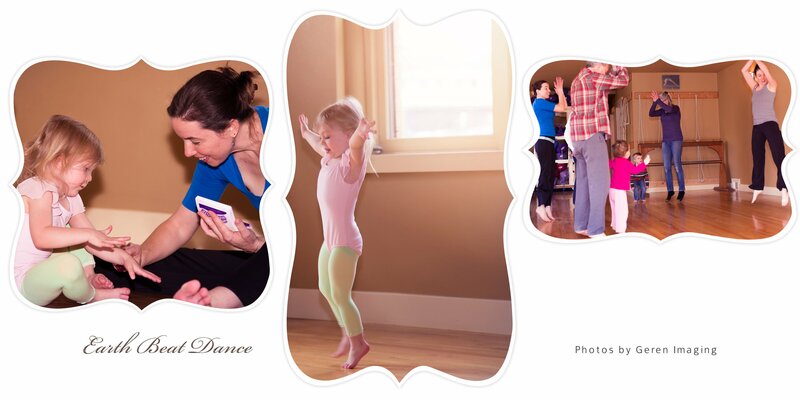 Musical instruments, colorful scarves and developmental and motor-skill concepts are also incorporated in dance. 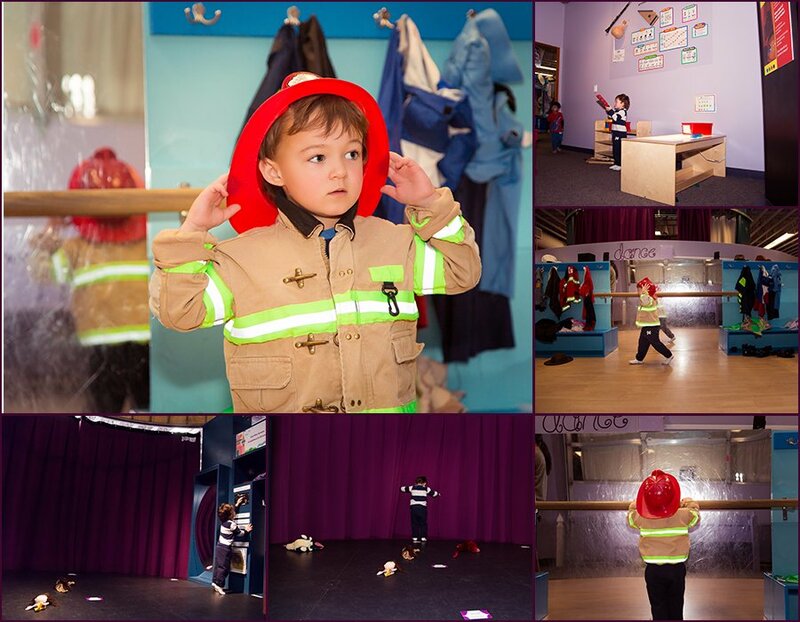 For instance, in one class, the preschoolers integrated the theme of zigzag, curvy and straight lines into their dance and movement. Children are also reminded to focus on their breathing and take deep breaths. There is even a period near the end of class where children lay down on comfortable blankets while quietly focusing on breathing as soft music plays in the background. This is the one indoor activity that we will be attending regularly even throughout the warm-weather months. When Joe was talking about the “Kids Sing and Dance” place weeks after our first class, I knew it was a success. 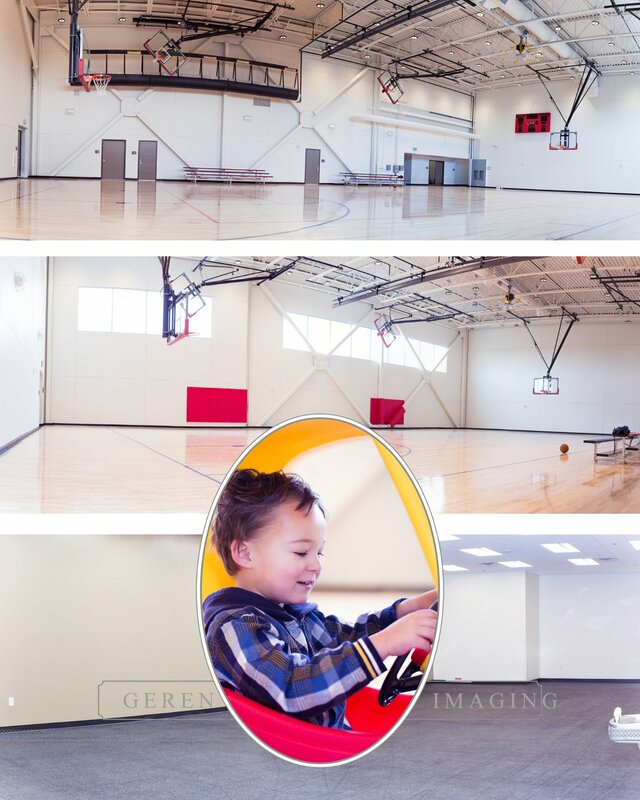 The Fort Collins Activity Center opened the last week of March 2016 and Joe and I popped in to play the first day! I was excited about another indoor option so close to our home and the City of Fort Collins never fails with its facilities. If you have been to the Aztlan Center in North Fort Collins then you can imagine that the Fort Collins Activity Center is something similar. The 24,000 square-foot facility includes two fitness studios, a weight and cardio room, a multi-purpose space, classrooms, conference rooms and lastly, on the third floor, a full-size gymnasium and an adjacent room that appears to be for play. As you can see in the photos, the gym is empty. However, there is a large bundle of unopened riding toys and other toys presumably for future open gyms. The employees at the front desk told me that there will be regular open gym days for young children debuting in the early spring, probably similar to the Atzlan Center’s Tuesday and Thursday open tot gym. To find the Fort Collins Activity Center, park as you would if you were heading to the Cinemark Movie Bistro and XD Theatre located in the Foothills Mall. 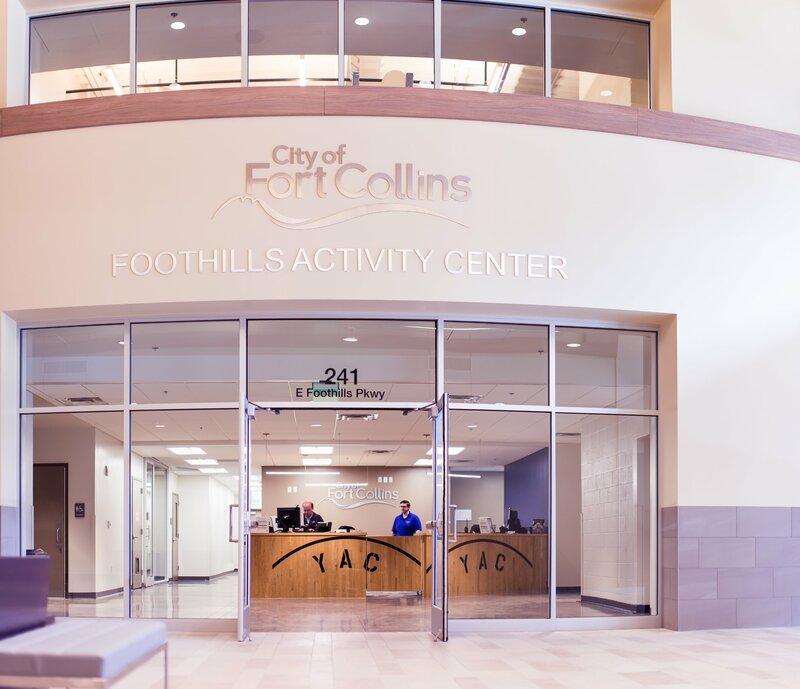 You’ll see a tunnel about three stories above you that connects from the Activity Center to the parking garage labeled, “Fort Collins Activity Center.” There are ground-level entries near this area. I had to include Cool Beans Playhouse & Cafe as it’s such a hot spot for indoor child’s play locations but it’s not my favorite. Actually, it’s a last resort. 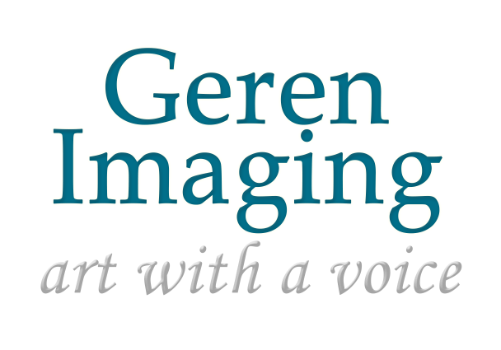 I know some people love this place and I give the owners credit on finding a much-needed niche and running a busy operation. However, as with any busy child’s play place, during normal hours at the first floor playhouse area expect crying, hitting, yelling, toy-stealing and pushing, similar to that of a wild daycare center. You can avoid this by entering Cool Beans during the slower hours when kids are napping in the late afternoon after 1:30. There’s also few toys for the number of kids there, and some of the remaining salvaged toys are missing parts. An idea for the owners to upgrade this situation would be to discount the entry fee to caregivers who donate toys. Besides the toy situation and crowd of kids, Cool Beans offers delicious coffee, food and beverages with a menu full of kid-friendly foods like grilled cheese, PB & Js, Mac n’ Cheese, quesedillas and a variety of Panini’s and sandwiches. A bonus is the variety of activities and classes that consist of art, food, music and yoga that take place upstairs in Cool Beans. 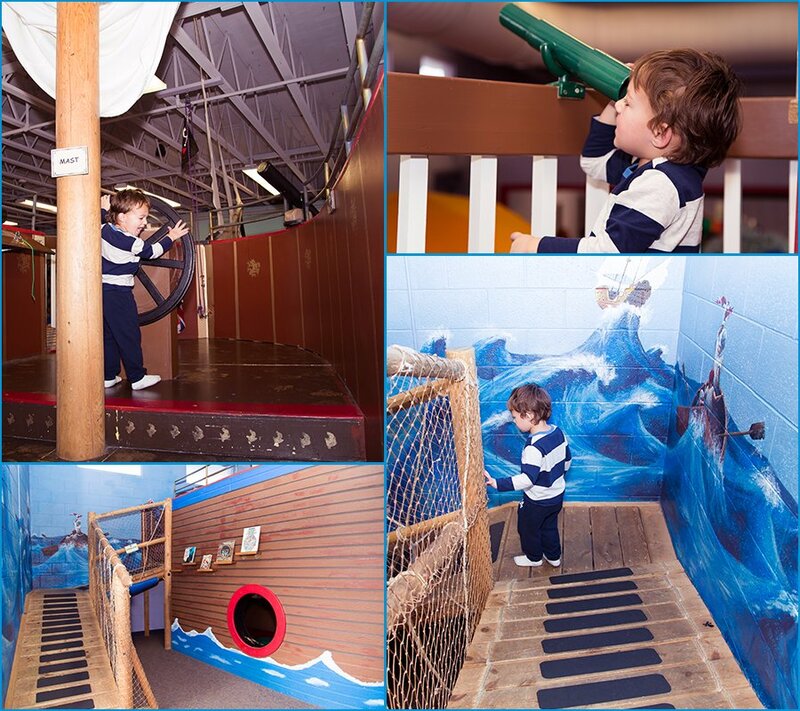 Caregivers can also rent out the upstairs for different themed parties. Cool Beans must be doing something right because Joe keeps wanting to come back. The Wow! 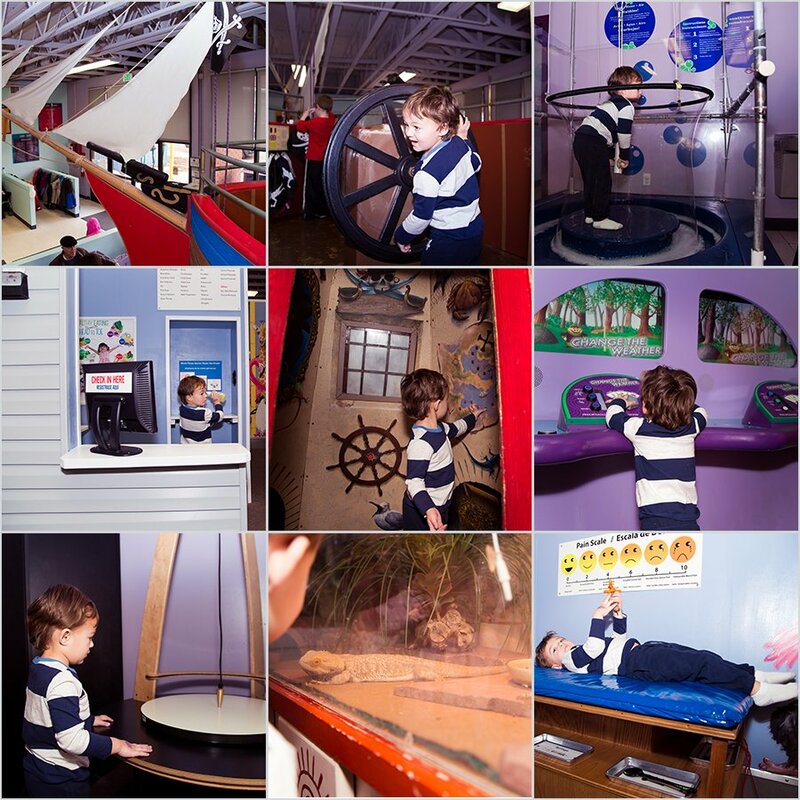 Children’s Museum in Lafayette is well-worth the journey. You drive for 45 minutes, zipping down I-25 and then turn off onto a farmland exit, wondering, “What the heck am I driving so far for?” And then you see the Wow! 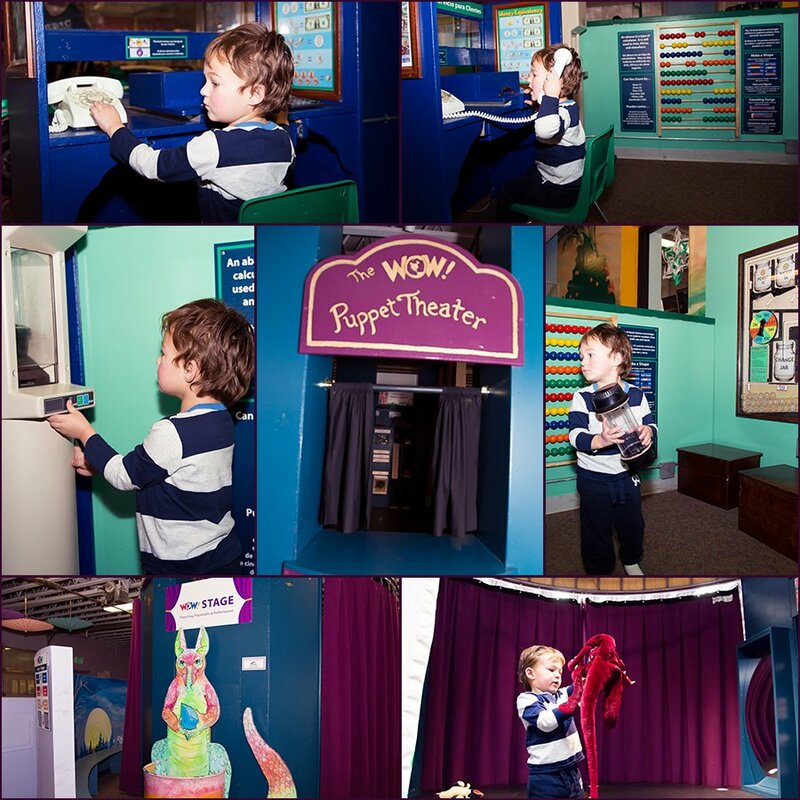 Children’s Museum. 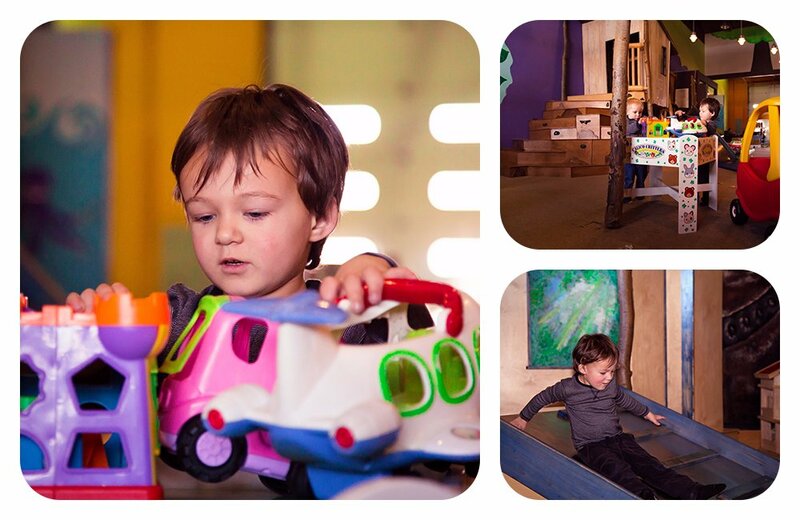 All uncertainty dissipates once you enter the fully-stocked play areas where science, theatre and art take the lead. We’ve been here just once but we stayed about three-and-a-half hours it was that good. 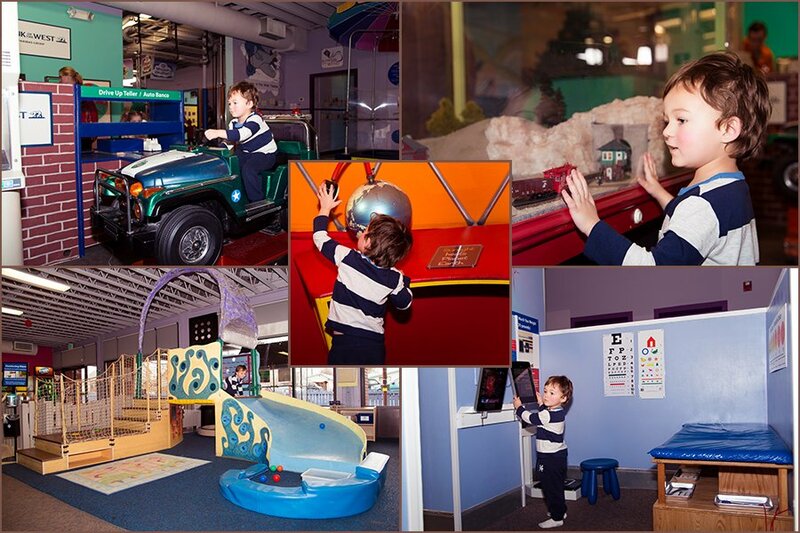 This oddly-placed gold mine of child entertainment is a best-kept secret along the perimeters of Northern Colorado. A few examples of bolting from play-station to play-station fun: a giant pirate ship, a drive-through bank station where you can shoot your money through a tunnel system just like a real bank, a doctor’s office equipped with all of the tools, replicating a real doctor’s office, a dance studio with costumes, a giant bubble machine that creates monster-like bubbles by pulling a lever, a lit-up theatre with a large stage and puppet area, a play area with a slide, a music room, a craft room, science gadgets that let you create weather and more…and more. As soon as you leave, your child will be begging to come back. There’s an abundant of fun water-play options for children and caregivers. Comb your way through the lazy river with a light current that propels you on your inner-tube or feet, splash in the zero-depth beach entry and play with water that spouts up from the ground, zip down the speed slide (for children over four-feet tall I believe) or slide down a short slide near the shallow play area, play basketball, volleyball or at the small child’s water play station. 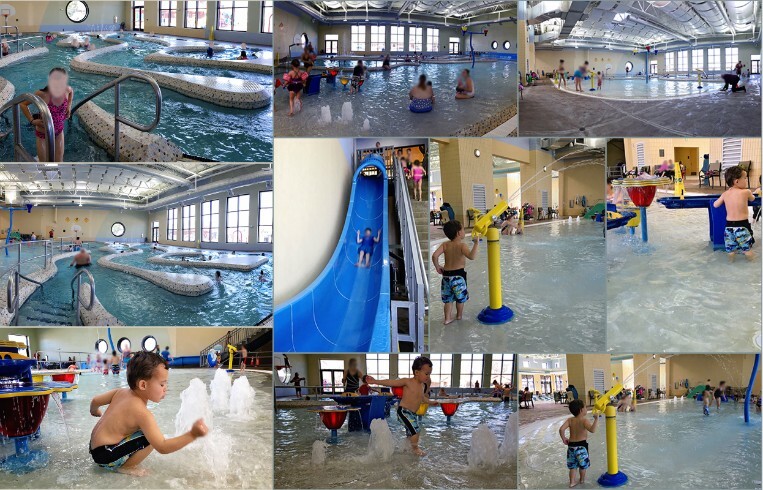 Whether you’re a baby or an adult, the Chilson Rec Center’s Leisure Pools are an opportunity for pure family and child entertainment. 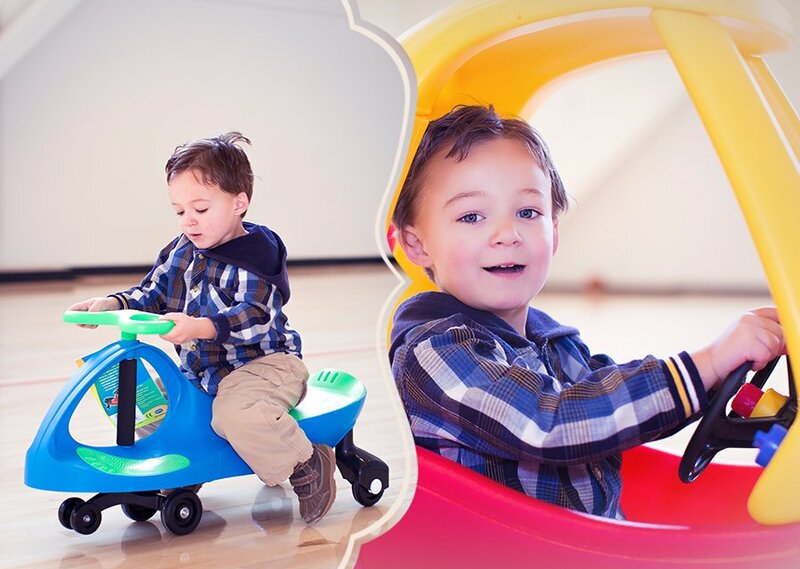 It’s raining, it’s cold, it’s wet, and suddenly your child looks like he or she is outgrowing your home that’s littered with toys, snacks and an assortment of trinkets thrown around. 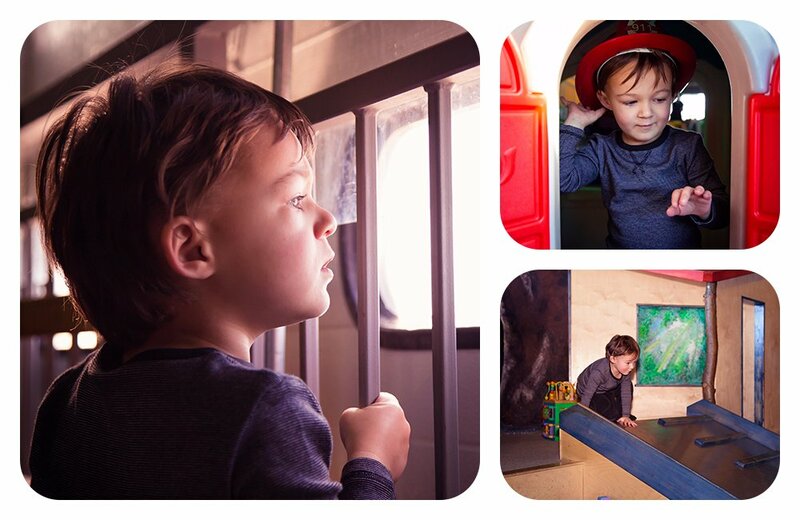 Once your child reaches the tornado of toddlerhood, you need an indoor outlet – and one that’s huge. That’s where the Edge Sports Center comes in. 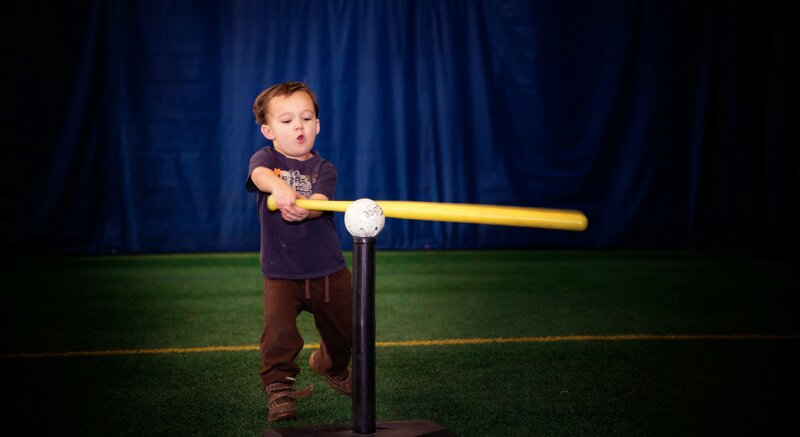 The Edge offers open gym times well as seasonal sports programs and camps for all ages – starting as young as three years old. 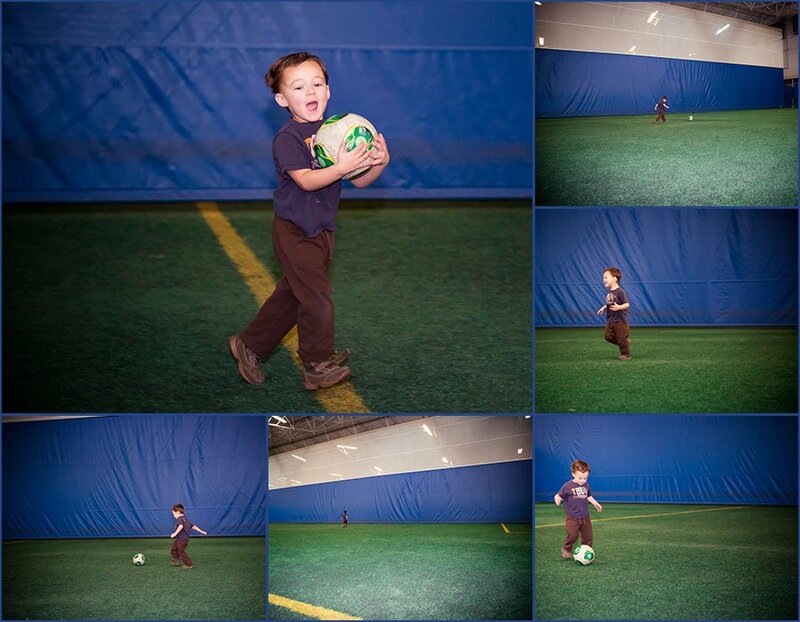 Soccer, football, karate, lacrosse, baseball, tennis and golf are all programs children can participate in at the Edge. In essence, The Edge is an expansive territory of sports and recreational play. A relief for you and a release for them. 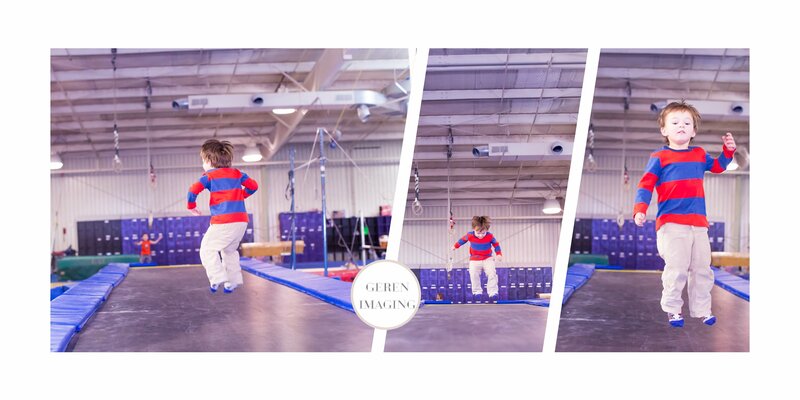 Premier Gymnastics is another indoor open gym option for babies to preschoolers. 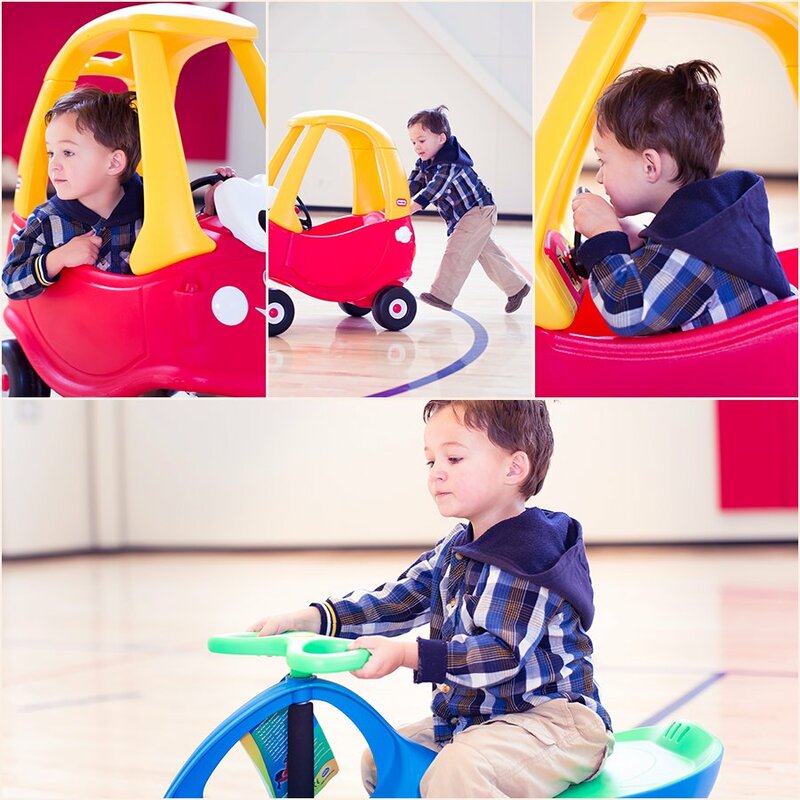 The open gym tends lean on the empty side, perfect for young children who are circulating from activity to activity. 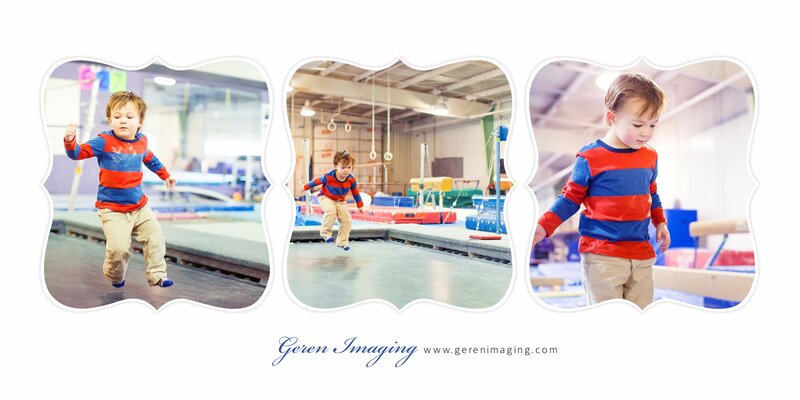 Some of Joe’s favorites at Premier Gymnastics are the trampolines, balance beams on the floor, large parachute blanket he can shake with others and run underneath and anything that he can climb on, really. 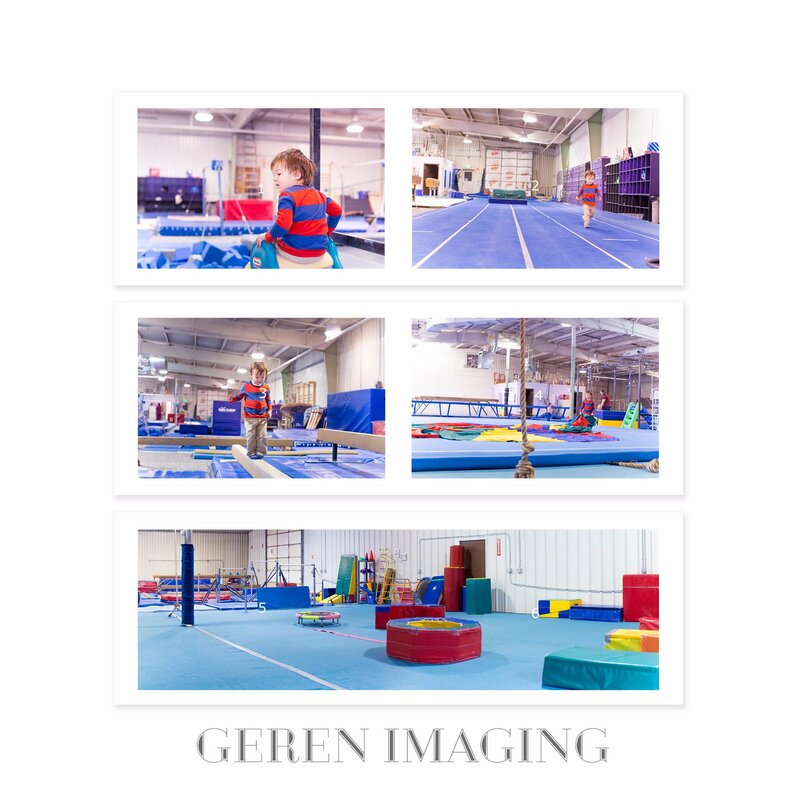 Although the gym is targeted toward its award-winning gymnastics team, it’s a fun option for jittery little kids who need to run, climb, jump and shout in delight. The name sums it up. If I added “blow-up house” then I would be done. There’s not much else to the imagination, however, the kids love it. Located at the Promenade Shops at Centerra, Jumpin’ consists of about 10 large inflatable bounce houses and a couple inflatable slides. There’s a seating area in the back for birthday parties and regular picnic tables in the front. We have been here a couple times on loud, crowded weekends. I paced around for about an hour-and-a-half lifting Joe in and out of bouncy houses. You don’t see the adults and teens jumping like you do at Fly High Trampoline Park in Fort Collins. I don’t think the kids care though, and with all the energy that’s being released, the adults don’t either. This is one of those places that I group in with roller rinks and Chuck E. Cheese. Perhaps it’s because of shimmering allure of video games that leaves Joe wailing when it’s time to finally pull away from the scene for the day. 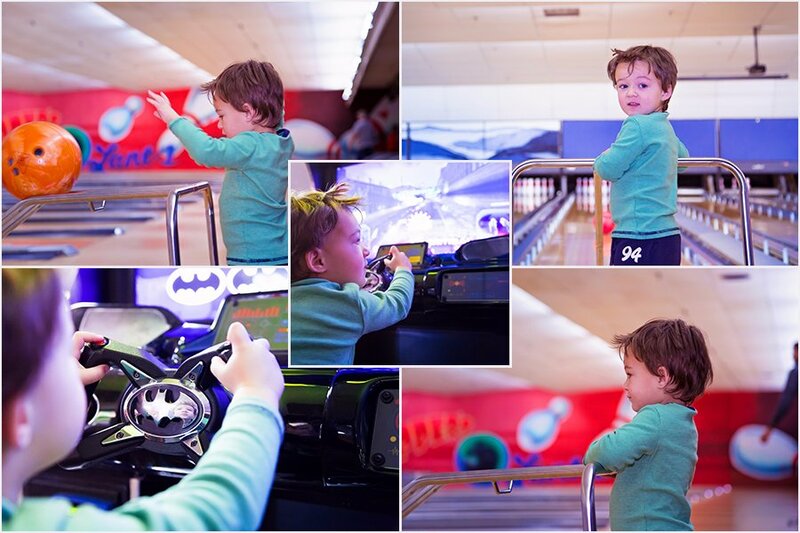 The bowling is what Chipper’s Lanes is really about though. We played for about 25 minutes until Joe lost interest but it was fun while it lasted. 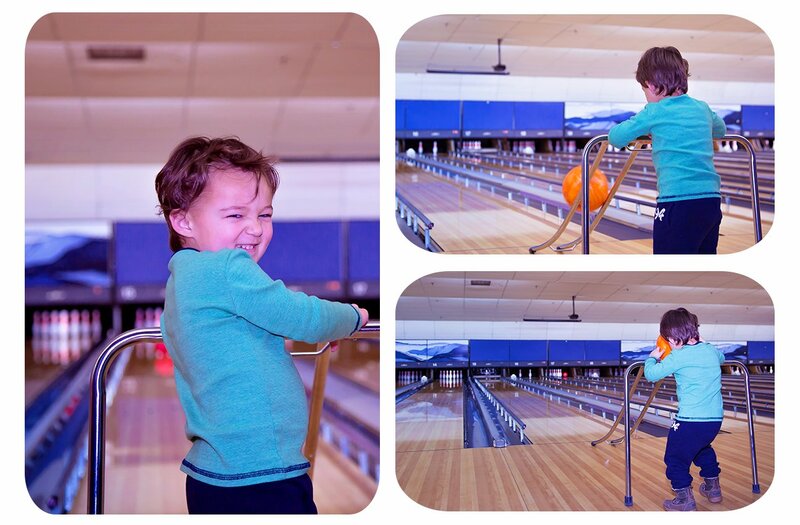 Chipper’s Lanes provides a cool moveable ramp for young children to knock their bowling ball off of. 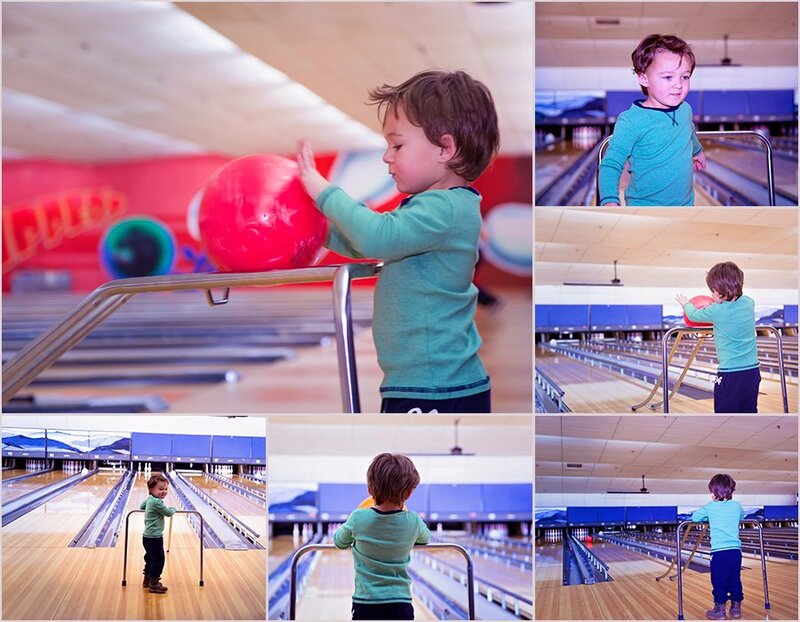 This was a huge help as even the lightest bowling balls provided are too heavy for little ones to swing. Andrew L - Fort Collins looks like a great place to raise a family! Thanks so much Jennae, for your always on the spot suggestions! Danine M - The dance class looks adorable! Gotta take my daughter there.